For a completely different experience, visit the "other side" of the Mesa for a tour of the Ute Tribal Park. Full day tours are highly recommended. 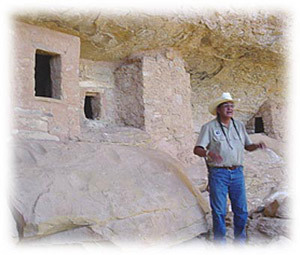 Tours of this primitive area are led by Ute Guides who share their knowledge of both Ancestral Puebloan and Ute cultures, sites, and rock art. Take your own lunch and plenty of water.